Legendary magician shares techniques for improving your magic performance! The legendary Juan Tamariz shares his secrets for developing performance skills! Hardbound with dust jacket. 81 pages. 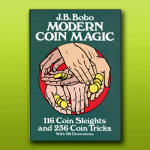 Learn how to improve your performance- from a MASTER MAGICIAN! 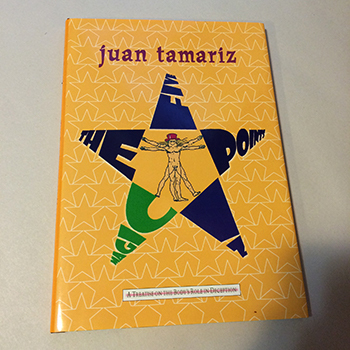 Long out of print and widely sought after, The Five Points In Magic is Juan Tamarizs highly regarded study of the physical and psychological secrets that use the body to fool the mind. He shows in detail how each of these five possessions - THE EYES, THE VOICE, THE HANDS, THE FEET, THE BODY- can be marshaled to create entertaining and seemingly impossible happenings. It is only through a full understanding of all five of these tools of nature and communication that the conjurer can spin a complete web of illusion that traps and then transports his audiences into the astonishing realm he has prepared for them. These five tools are essential and invaluable to the stage conjurer and the close - up magician alike, and they are clearly analyzed and taught by Tamariz from his vantage point of years of successful professional performance in both venues. Tamariz enhances the clarity of his ideas and explanations with solid examples drawn from his own repertoire. 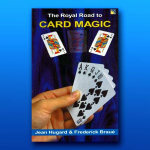 There is no other book that so quickly, efficiently and entertainingly puts into the readers hands the tools required to raise his performances to a level of true professionalism and draw his audiences into the world of magic.